Make no mistake about it, Warner Brothers World Abu Dhabi is turning heads in the themed entertainment industry. 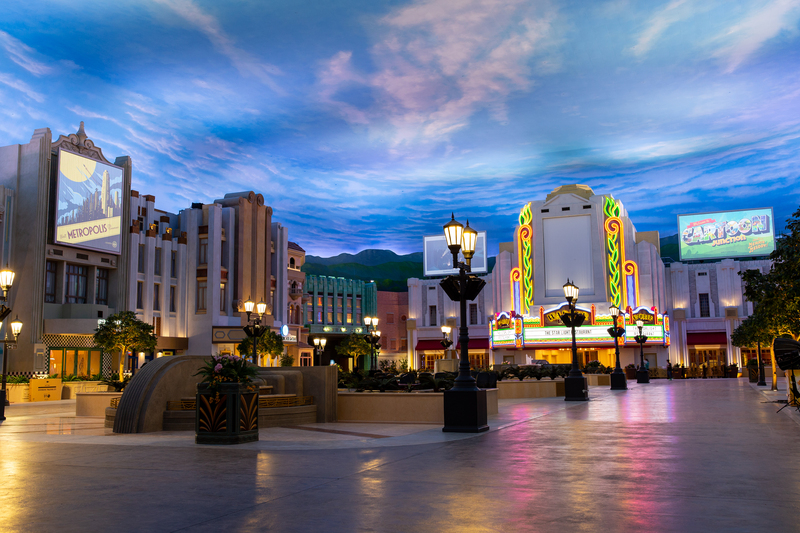 This brand new park takes classic Warner Brothers characters and breathes new life into them with new and innovative attractions, shows and immersive environments. The park looks spectacular and turns Abu Dhabi and the UAE into a true destination for theme park aficionados. I recently got a chance to chat with Dave Cobb, Vice President of Creative Development of Thinkwell Group. Dave and his team at Thinkwell designed all of Warner Brothers World Abu Dhabi in a process that took over ten years. I got a chance to find out what that process was like, what it was like working with Warner Brothers and the responsibility of giving these classic characters a true home. Enjoy! I’ve heard this park has been in development for quite some time. How long has it been in the works and at what point did Thinkwell become involved? We were first approached by Warner Bros. in 2007, and started with early blue-sky concepts late that year. 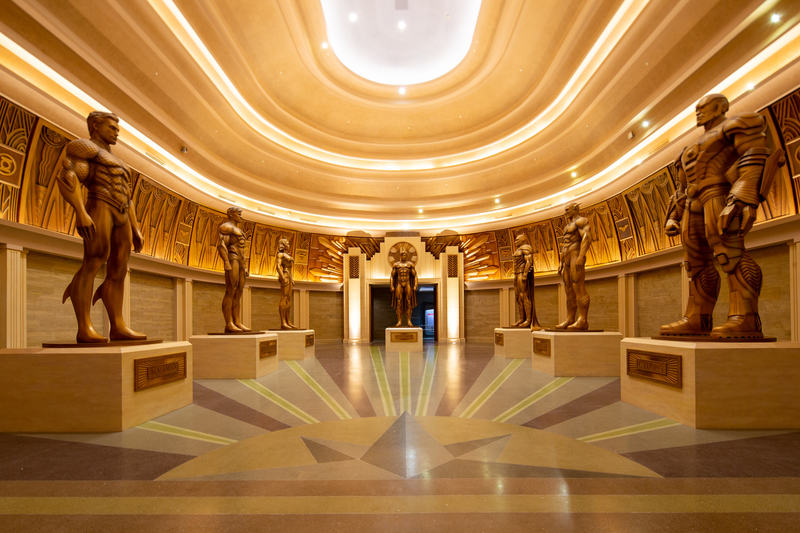 Just how much of Warner Brothers Abu Dhabi was designed by Thinkwell? Thinkwell was responsible for the creative development, design, implementation, media production and attraction integration of the entire park, from earliest concepts to opening day. Our team produced more than 7,000 pages of drawings during design and over 2,300 pieces of production-ready art for use in the park itself. 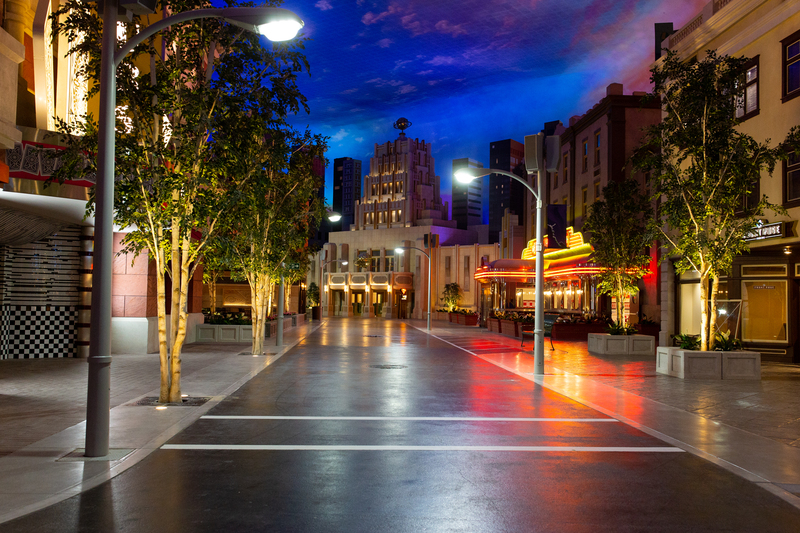 Thinkwell also served as the intellectual property “Brand Assurance” representative, working in collaboration with Warner Bros. to bring the park to life and working hand-in-hand with key asset managers, art directors, and executives at the studio. In essence, our role was to be a bit like WB’s “Imagineers”. Thinkwell also was responsible for the production of all media in the park, including the large-scale, projected-screen media & preshow content for the signature attractions (four of which are in 3D, and one that’s fully interactive), as well as hours of original musical scores and soundtracks for attractions and area development. No project of this scale is done alone. 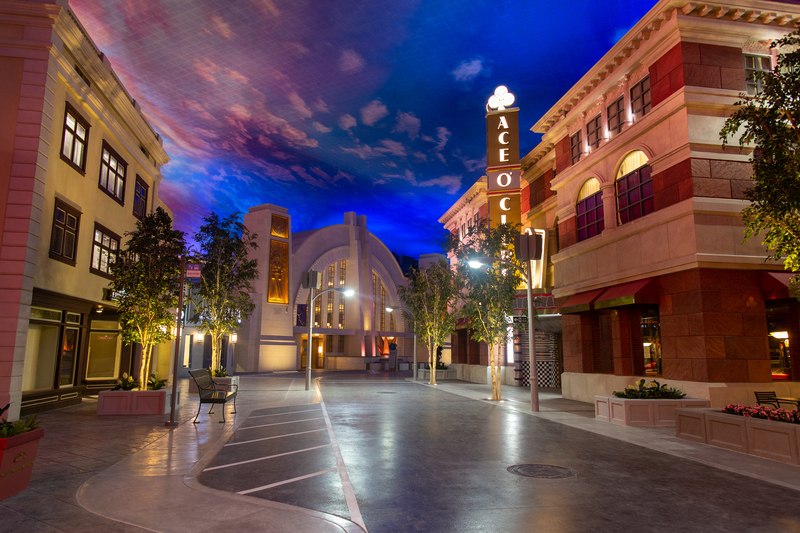 Wyatt Design Group collaborated on the master plan and concept design of the entry, Warner Bros. Plaza and Metropolis, as well as collaboration on the concept design of ACME Factory, Teen Titans Training Academy, Fast & Furry-ous, Green Lantern, and Superman 360. Superman 360 and Green Lantern were based on concepts developed and partially implemented by GDE Creative. The park’s facility design and engineering was done by AECOM, implementation services by Louis-Berger, and a handful of other key consultants and firms, including EarsUp!, Electrosonic, Whitelight, Ptarmigan, Arco Sanderson, Aspen Scenic, Scenario & Lifeformations, Blur Studios, Pure Imagination, Pixomondo, Thinkwell Media, and many more. Ride systems were provided by Intamin, Dynamic Structures, Oceaneering, Brogent, Moser, Zamperla, ETF, and Alterface. What was the process of working with Warner Brothers like? Warner Bros. is an amazing creative partner. Not only do they have incredible depth of knowledge about their world-class characters and story worlds, they actually know theme parks very, very well — given their long experience with Six Flags, their own Movie World parks in Europe & Australia, and their ongoing collaboration with Universal on their Harry Potter experiences. They know the process, and they know what it takes to get a quality product. 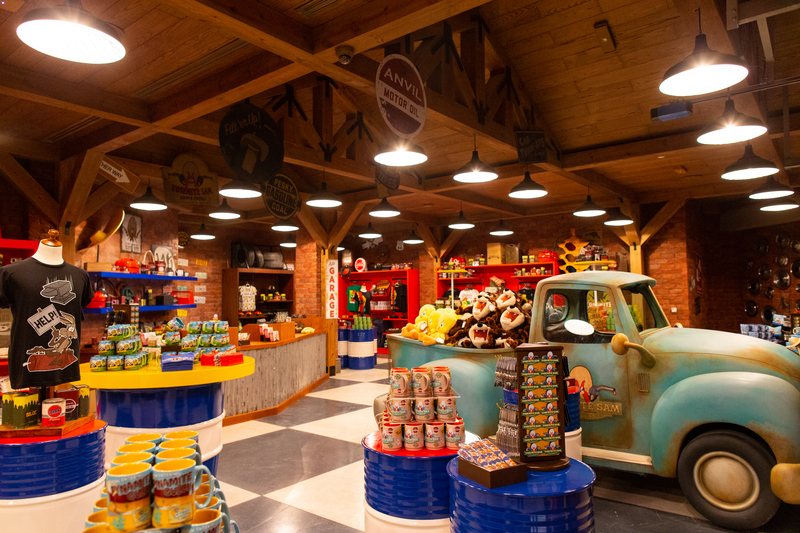 The day-to-day design of the park with Warner Bros. encompassed weekly meetings with their internal Consumer Products creative team, hundreds of hours, and two or three years of monthly trips with them, both to the site and to various vendors around the world, to see work-in-progress. It was a true creative partnership that elevated both Thinkwell and Warner Bros. to a new standard of work. Did Warner Brothers give specific direction on what characters they’d like used? Or did you pitch concepts to them based on their library of intellectual properties? A bit of both — we knew from the beginning that the park would be focused on DC Comics and Warner Bros. Classic Animation (i.e. Looney Tunes, Hanna-Barbera and Tom & Jerry) and not the live-action library, but we pitched and reviewed many options within those two broad categories. The most exciting thing to us was that, while these giant, iconic brands had some previous exposure in regional ride parks, they had never had an opportunity to be realized into fully-immersive worlds and innovative, large-scale, media-rich, world-class attractions. That was the most exciting opportunity — the never-before-done scale in which we could imagine these characters and environments. 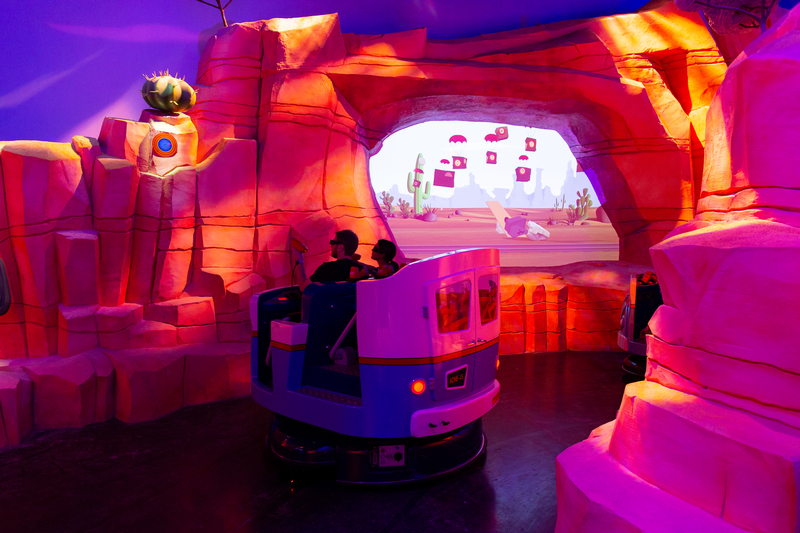 Are there any new technologies or concepts being used in Warner Brothers World Abu Dhabi? I have two answers for that. First, technology is a means to an end — new technology is obviously part of our designer’s toolbox, and we’re always on the lookout for something new if it serves the story we’re telling. But I firmly believe (as do many in our industry) that if you start with a technology as your driving factor behind an attraction, you will ultimately fail in making a compelling, lasting guest experience, because the ongoing progress and reliability of technology is so mercurial. So, we never look at technology (or its relative “newness” or not) as a starting point for any attraction concept. Secondly — yes, there are many examples in this park of new innovations. While some of the hardware & software concepts in the park may look familiar to theme park fans who’ve been to other global attractions, none of them are direct “lifts” of anything “off the shelf” that exists at another park. Every ride vehicle, every track layout, every effect, every piece of video & audio, everything is bespoke specifically for this park. As an example, our Batman Knight Flight attraction uses a similar approach to its ride hardware as a signature Universal attraction, one that was quite trailblazing and innovated a lot of technical solutions that we have since benefitted from — but, at the end of the day, there’s a key function of our Batman attraction (related to how it is loaded & dispatched, and how it moves & interacts with scenery & media screens, and the first use of “virtual block zones” in this type of attraction) that is actually far more complicated than what has been done previously with similar hardware, and was fundamentally new and engineered specifically for this park. There are a handful of other similar examples — Green Lantern Galactic Odyssey has one of the largest 3D dome screens in the world, Superman 360 has the largest continuously-stitched permanent 3D projection in the world, and many of the onboard audio systems for attractions like Batman and Justice League are using new combinations of hardware and software that have never been used on moving ride vehicles before. 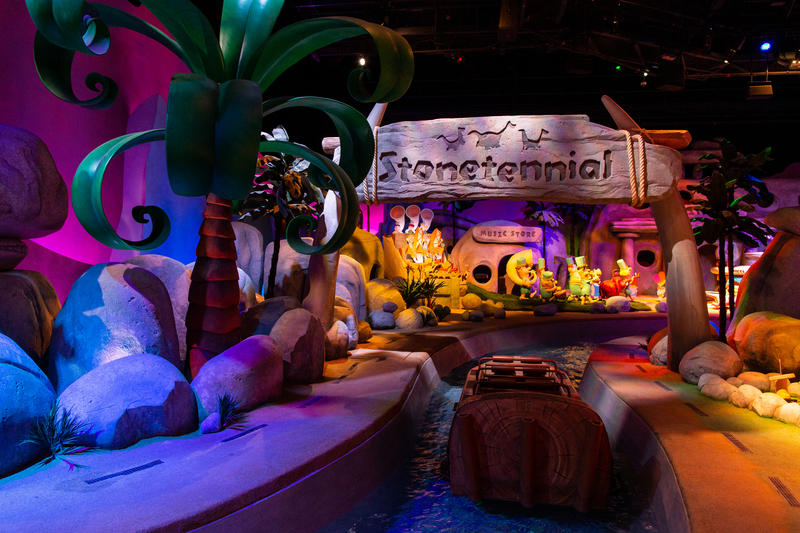 How did you decide on the mix of attractions within the park? Were you targeting certain demographics? 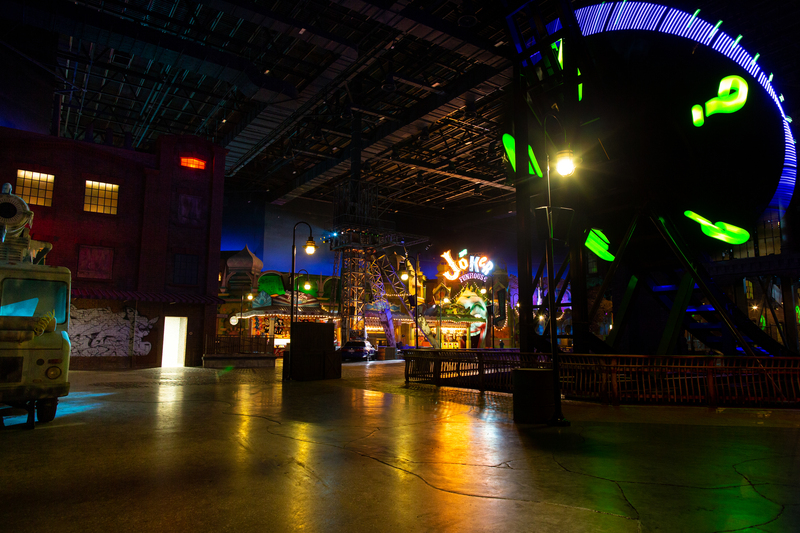 Were certain types of rides, shows or experiences more conducive to an indoor park? With any large-scale theme park, you start with a feasibility study that involves a complex analysis of the metrics of the proposed park — what’s the demographic of the visitors, what is the projected attendance daily/yearly, what are the most resonant characters to that audience, what are the competing options in the region, etc. etc. It may sound like boring business stuff — but it’s crucial to understand all of that to create the right attraction mix (or “program” in our professional parlance). From a practical perspective, it helps you zero in on size, scale, scope and budget options very early. From a creative standpoint, it allows you to play with a “menu” in the early stages — and we like to think of visiting a theme park as similar to having a satisfying meal. I sure do love steak — but imagine having a meal with a steak appetizer and a steak entree and a steak side dish and a steak dessert, it would get boring and repetitive very quickly. Through a careful and thoughtful analysis — both practical and creative — we try to create a satisfying, well-rounded meal that offers something for every visitor, every family member, and every demographic. Did you look at competition within the UAE when designing the park? If so, how did that affect the finished product? Of course! There’s a growing variety of offerings in the region, so knowing what was out there was very important. Most importantly, it’s not all about competition — the two parks right next door (Ferrari World and Yas Waterworld) are the same owner/operator as Warner Bros. World, and their intent was to create a three-park destination — so we had to be very aware of the offerings at those parks in order to create something complementary. For instance, Ferrari World is known for three amazing, high-intensity, world-class coasters — so a mega-coaster or record-breaking coaster was something we didn’t necessarily need in year one. That kind of analysis gave us permission to lean into the idea of more immersive attractions that cater to an underserved audience in the region that may not be thrill-centric, a family-centric audience, much more like a Disney or Universal park in its breadth of offerings. Is there room in the park for expansion? Since it is indoors, are those spaces already there or would you have to expand the current building footprint? Absolutely, that is part of any new theme park design, planning for the future. Existing plots of land have been left empty around the perimeter of the building, specifically to look at for development of future attractions and lands. Stay tuned! Finally, since Warner Brothers World Abu Dhabi is all indoors, it can be easily replicated. Assuming the park is a success, could we see other ones like it in other parts of the globe or is this concept exclusive to the UAE? Warner Bros. is very happy with the final product, and they are definitely interested in replicating its success elsewhere. But remember, it took ten years to get this one open, so they are being very thoughtful with their strategy of what’s next. 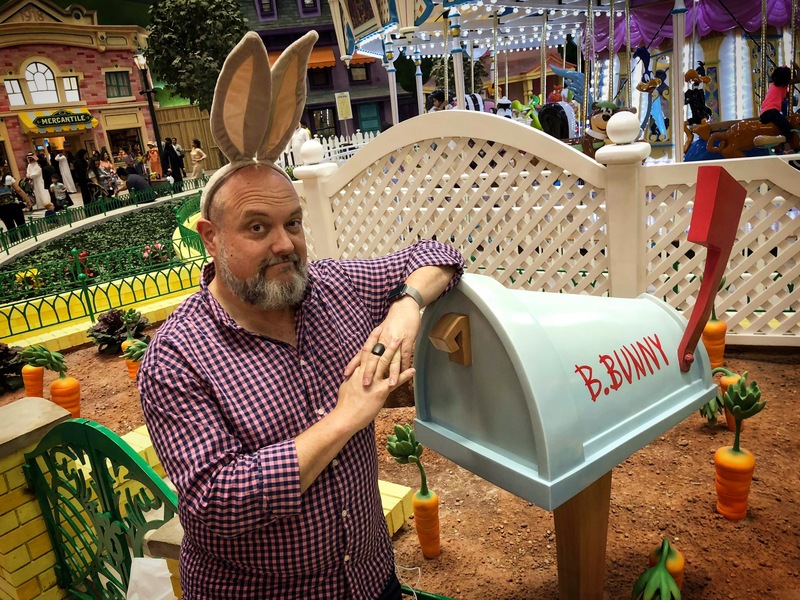 Many thanks to Dave Cobb for taking the time to answer some questions about Warner Brothers World Abu Dhabi! We are excited to see how this park grows and changes over the years! This entry was posted in Theme Parks 101 and tagged Dave Cobb, Thinkwell, Warner Brothers World Abu Dhabi. Bookmark the permalink. Trackbacks are closed, but you can post a comment.